Autorank started as a Bukkit plugin but has been copied over to Spigot as Bukkit's future is uncertain. Click here if you want to visit the Spigot page. 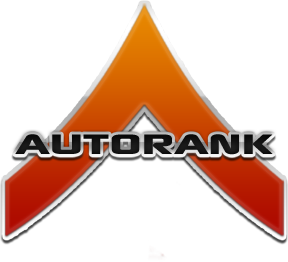 Autorank is an automatic ranking plugin that allows you to set rank-ups that have requirements. You can create requirements that make certain a player has at least x amount of money or x minutes played. A player starts out as Guest. When he has played for more than 10 minutes and broke at least 10 iron ore, he will be ranked up to Member where he can do a lot of other things. Then, when he has played for a couple of days and earned 1000 money, he will be promoted to Trusted; a group that allows him to do cool stuff. This can go on for as many ranks as you like. The possibilities are endless! It's up to you! More to come - just ask! A wiki is also handy if you need help with Autorank. While you're there check for answers to frequently asked questions, check this. Fear not, Autorank has a well-documented API. You can find a tutorial on it here. Permissions and commands can be found on the wiki. Click here to go to the wiki. Click here to go download dev builds. I do not support dev builds. I may redirect you to a dev build to help test a new feature or check if a bug you reported is fixed, but use on a production server is highly discouraged. Those builds also do not provide the security that BukkitDev offers. This plugin utilises Hidendra's plugin metrics system, which means that the following information is collected and sent to mcstats.org: (These stats can only be seen by the Autorank development team, and will never be shared with anybody else). This plugin has a built-in auto-updater, which connects to BukkitDev to check for updates. If you, for some reason, wish to disable this process, you can do so by disabling 'auto-updating' and 'version checking' in the advanced config. Autorank is using an advanced UUID system (for Minecraft 1.8) which is complex, but nevertheless explainable: When someone tries to perform a command that requires a player name, such as /ar check <playername>, Autorank will look up the UUID of that player via the Mojang website. I will not go into detail on how it does that, as that's too complex, but if you're interested you can look it up at Github. Autorank is using a specific part of the Mojang website (called api.mojang.com), which is very secure. Autorank makes sure there are no traces of lookup left behind so that any player is completely anonymous. If you feel like Autorank might have a problem, please do ask. I'm glad to fix any problems that occur during runtime. I cannot, however, ensure that Mojang is storing the lookups anonymously. But as you probably already have a Mojang account (because you play Minecraft), I can assume you trust Mojang to store their data nice and secure so no hacker can access it. If you feel like Autorank is harming you in any way, please do not hesitate to ask us and we'll try to answer your questions as adequately as we feel is possible.